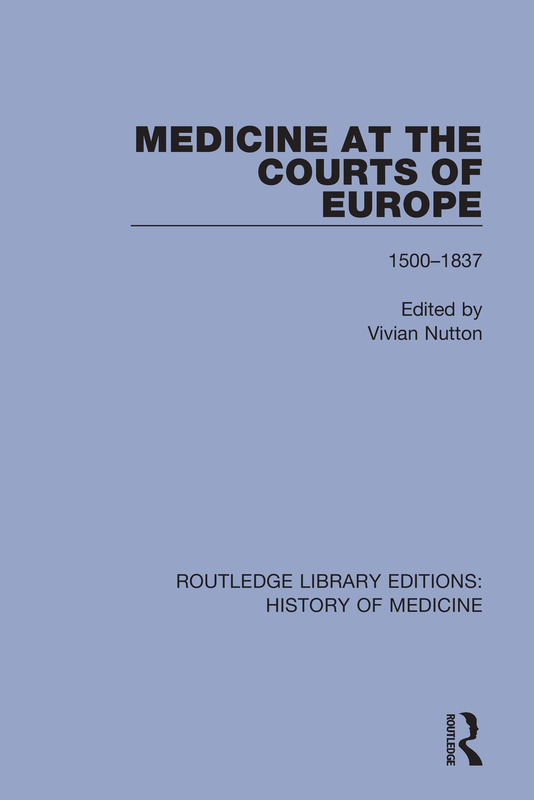 Originally published in 1990, Medicine at the Courts of Europe 1500-1837 is a collection of essays examining the whole range of medical activities in a variety of European courts, from Rome of the Borgias to the Russia of Catherine the Great. It documents the diverse influences of custom, wealth, religion and royal intervention, along with foreign innovation, popular literary satire and matters of litigation which so changed the face of court medicine over three centuries. By looking at court medical practitioners in such a wide chronological, geographic and thematic context, these essays provide many new insights for all those interested in the history of medicine, society and politics from the sixteenth century to the early nineteenth century.